Labor and equipment expense can vary drastically between operations. Photo courtesy of Troy Walz. Labor is included with equipment expense because equipment and labor are often closely tied together. Historically the trend has been for labor to be replaced in agricultural operations with equipment. Equipment is directly connected to labor as the owner/operator or employees in a cow-calf enterprise are often using equipment to accomplish their work. If an employee is hired, they are frequently provided a pickup to drive, a four wheeler to ride etcetera. Costs associated with owning and operating equipment should include depreciation, interest, repairs, taxes, and insurance. These sometimes are referred to as the DIRTI five. While depreciation is not something that the business owner gets an invoice for and writes a check to pay for, it is a loss of value that needs to be counted when calculating cost of production. Equipment and labor costs are often identified as fixed costs or overhead costs. Labor is included in overhead costs because one person can care for a varying number of cows. On some ranches one person is caring for 100 cows and on another ranch a person is expected to care for 1,000 cows. The following example can be helpful in understanding this concept. Let’s say a rancher has 200 cows and his neighbor comes to him and offers to lease him the adjoining ranch and sell him 200 cows. The rancher agrees and buys the 200 cows and leases the ranch. The day the rancher buys the 200 additional cows, he probably isn’t going to hire another fulltime person to help him care for those cows or buy another tractor, pickup, livestock trailer or four-wheeler. 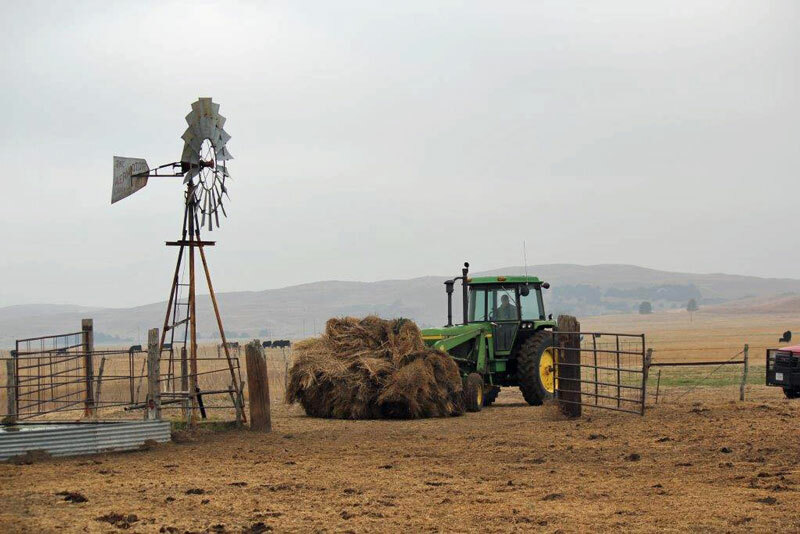 The equipment the rancher used to care for the original 200 cows is probably sufficient to care for the 400 cows that he now owns. The fixed costs or overhead costs related to his labor and equipment on a per cow unit basis are now half of what they were when he had 200 cows. Labor and equipment expense can vary drastically between operations. Cow-calf enterprises that aggressively seek to control this expense through minimizing the use of expensive equipment and spreading labor and equipment costs over large numbers of cows tend to have a competitive advantage. Evaluating labor and equipment expenses on a per cow unit basis and thinking creatively about ways to hold or reduce costs in this area can help cow-calf producers improve profitability.